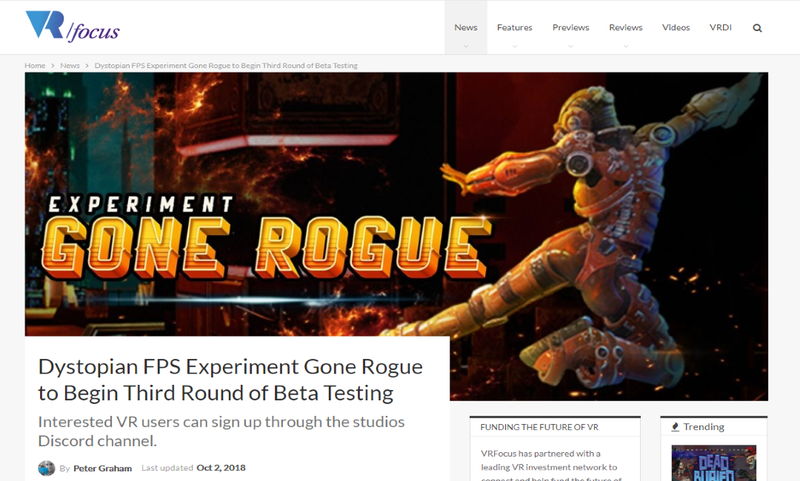 Previously featured on Alpha Beta Gamer when it was called 10 Cupcakes, Experiment Gone Rogue is pretty much what Duke Nukem would be like in VR. See there post here. 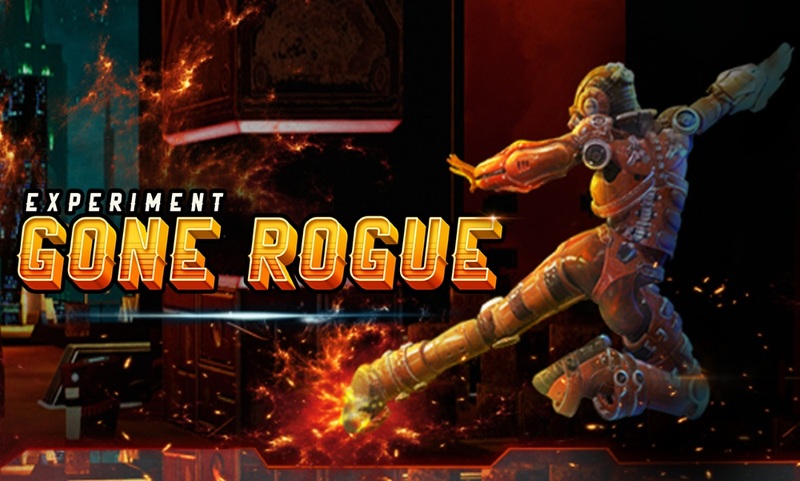 In Experiment Gone Rogue you punch, shoot and explode your way through enemies in Virtual Reality. Take your rage out on enemies by sending them flying with a swift punch. Or just shoot a rocket at them if that’s more your style. Traversing the futuristic environment is not as easy as you’d think though and you won’t make it very far if you can’t climb with the best of them. 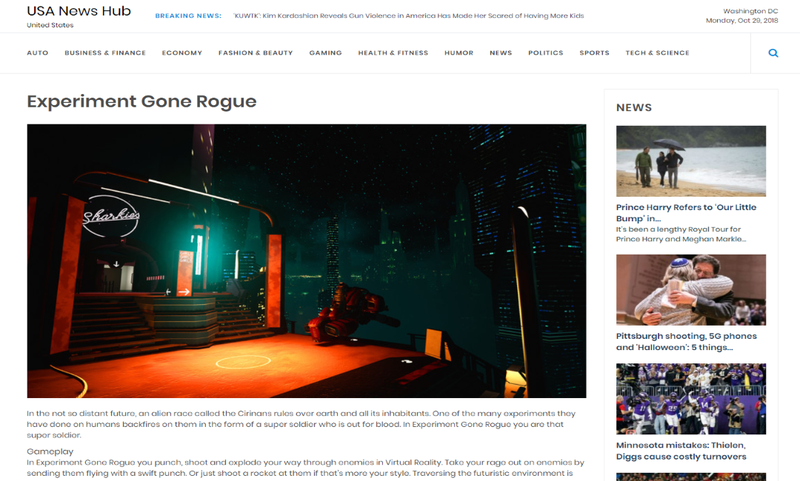 Experiment Gone Rogue is a sci-fi action and adventure VR game set in a dystopian future where an alien race, known as the Cirinians, has come to earth and asserted itself as the ruler of humanity. 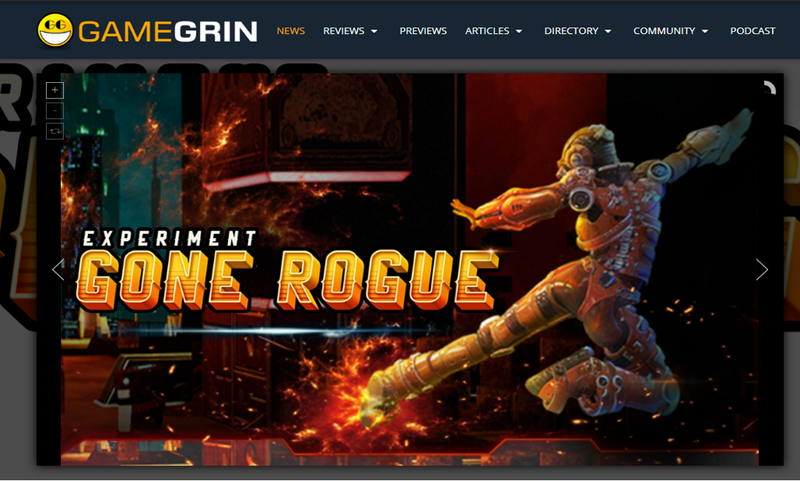 Experiment Gone Rogue goes into third beta test and GameGrin talk about it. 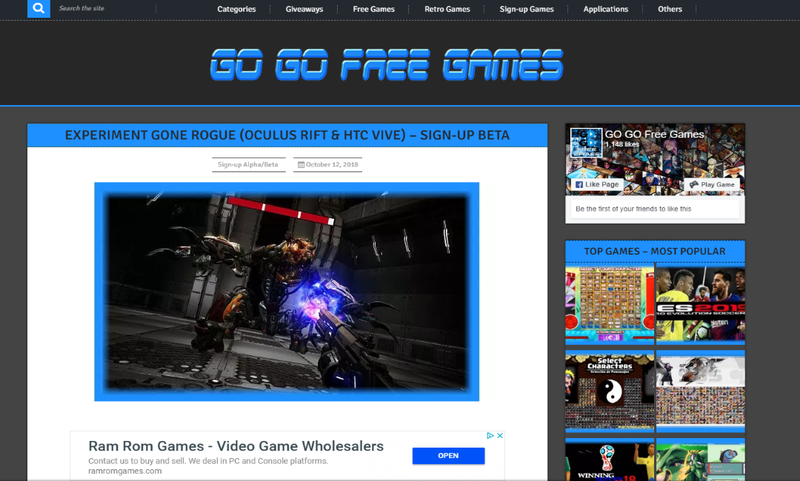 Just like the previous betas, Repulse Game Studio will be giving free keys to access the beta on the studio’s Discord channel. Done on a first come first served basis, applicants will either need an Oculus Rift or HTC Vive headset to participate. See post.